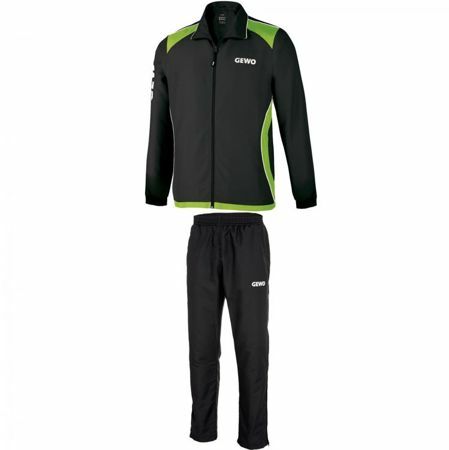 Trendy tracksuit made of light functional-fiber material; 2 color variants available. Trendy tracksuit made of light functional-fiber material; 2 color variants available. 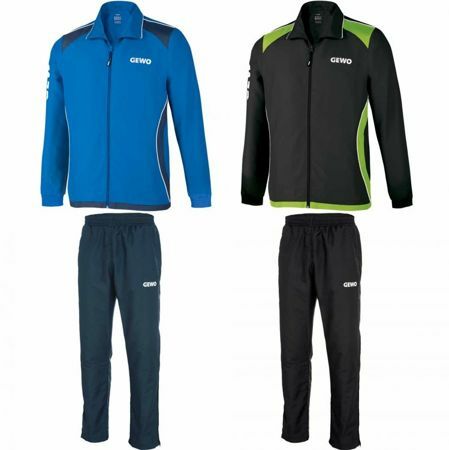 Matching tracksuit for Murano men's and ladies' shirt. Two side pockets with zippers in jacket and pants. Straight-cut jacket with elastic sleeve cuffs. Open zip leg for easy on/off. GEWO print at bottom of left leg. Jacket and pants available separately.